We’ve partnered with Kobo to bring you the best in eReading. It's easy to get started. Kobo offers over 4 million eBook titles—including best sellers, hidden gems, Indie Next List great reads, and other recommentations—that can be downloaded instantly over WiFi, making it the ultimate in convenience. Take your library with you where you go—Kobo eReaders store thousands of books. Set up your Kobo account through us (all future purchases will support Book People Richmond), or via your Kobo eReader. Log in to kobobooks.com with your new account to browse, search for, and buy eBooks. Start reading! Download the free Kobo reading app here to read on your smartphone, computer, or tablet (You can also purchase eBooks through the app. 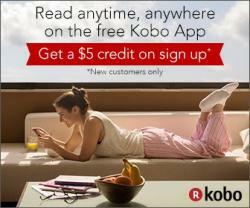 Sign into the app with your new Kobo account, and continue to support our store. ).